Naming Characters – Tricky or Not? During one of the many writerly debates I’ve recently had (Oh, alright then, chats over coffee and a humungous slice of cake!) the subject of naming our characters arose. Not so much the names themselves – i.e. we all agreed that having Tommy, Timmy and Tammy all appearing in one scene, would cause major confusion – more, if anything, what influences those choices. I rather sheepishly confessed to experiencing niggles of guilt if I christen either a po-faced, cantankerous or toffee-nosed character with the same name as someone I personally know, or one of their nearest and dearest. I mean, that person might never even read my book. And it’s not like it’s deliberate. If a particular name fits a certain character, it fits, right? Besides, it could work the other way. My neighbour might read my book and think I’ve named that beautiful, kind-hearted, law-abiding heroine after her, when to me; the name simply suits my character’s personality. So why do I worry about it so much? Writerly friend number two did, however, admit to feeling so frustrated at times about the naming issue, that she resorts to opening her “10 million trillion names” book or whatever it’s titled, twirling her finger in the air three times and selecting whichever name on the page it lands on. Although she did also confess to applying the ‘best of three’ rule occasionally. So… where do you stand on the topic? Do you shy away from giving characters certain names, or do you steam straight in? After all, it is fiction, isn’t it? 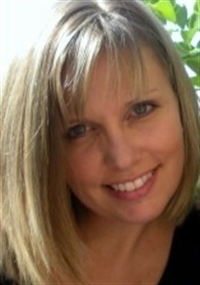 She’s sassy, snarky, fun and loving – she also writes great romance novels. 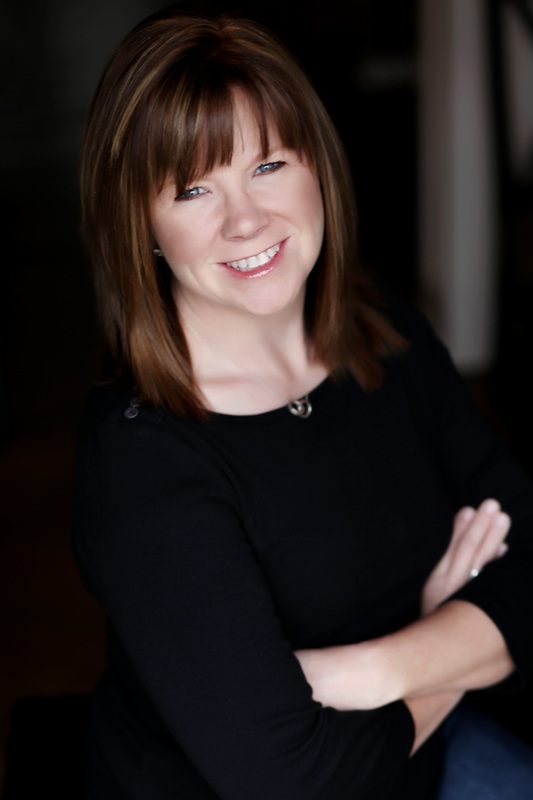 Please welcome Amy Gregory, author of Racing To Love, published by Sapphire Star! Hi Amy great to have you here all the way from Kansas. Not sure what the time difference is but hope we’ve not got you up too early. Although I get the feeling, with a young family, you’re probably used to some early starts. Thank you so much for having me! I’m not sure on time zone differences, I’m in CST if that helps. I’m an early bird anyway, I get my best writing done in the morning. After about 9pm I’m a lost cause. Racing to Love your debut novel is out now, can you tell us a bit about it? It is a series of four books, the setting is the world of motocross racing. The main male characters are life-long best friends. 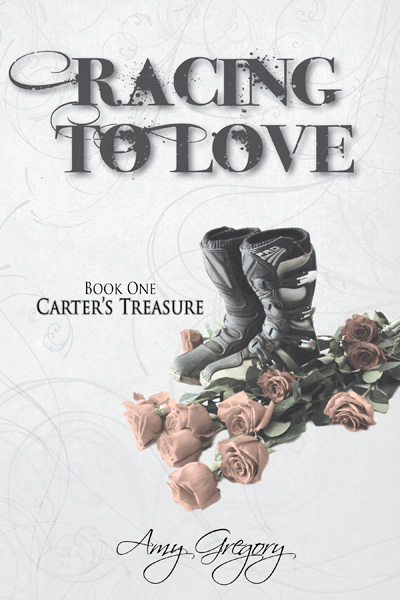 The first book is Carter Sterling’s story of how unpredictable life is and how love can find you when you least expect it. It’s his tale of instant attraction to Molly and the lengths a man will go to in order to protect the woman he loves. What type of motorbike would you say reflects your personality and why? We are a motocross family. Love it! Love watching the professional races in person and on TV. Plus, our son is a motocross racer, so I’d say dirt bikes. Street bikes scare me. I guess it’s that I trust him completely, but on the open road you’re at the mercy of all the other crazy drivers out there. Having been brought up around road bikes, I know what you mean about other crazy road users. Keeping on the road and travelling theme, can you tell us about the journey this book has gone through to get published? Oh, my poor baby lol. In a brief form I’ll explain. I hadn’t written a word since back in school. Then out of the blue I had a dream, the next night it expanded and so on. Finally after a few days I started writing it down. The next thing I knew I had over four hundred hand-written pages. I typed it, edited, added, edited and edited again. I had this passion all of the sudden that I didn’t have a clue where it came from. I loved the story and wanted to share it. I started querying agents and publishers with no luck. Finally I decided to do a major rewrite, change the tense and stuff like that. That’s when I was able to get in the door. It did go through an intense rewrite in a very short amount of time with the help of my editor. Then the rest was a blur! 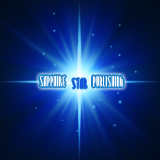 So how did it feel to get the call/e-mail that Sapphire Star wanted to publish Racing To Love? I guess the only way I could describe it is, surreal. You picture it happening, you dream about it, but when it happened for me, I was just dumbstruck. I read on your blog that you are writing two books at once! How did that come about and are you finding it easy to switch back and forth? I am lol. I am writing book four which is the last in the Racing to Love series as well as the first book in my next series. They are very different characters and their worlds are unique to each of them. I am finding it easier almost. I have flashes of dialogue or scenes come to me for both. I can get to a spot with one, stop and add to the other. It makes those moments when you feel a little stumped almost non-existent. I actually have a stand-alone thrown in the mix as well. So between the three, I’m, so far, avoiding writer’s block—knock on wood! As I’m working on one, ideas pop up for the others and it just flows so excitingly. How would you describe your style of writing? What sort of reader would it appeal to? I would have to say I’m unique. I do not like suspense at all. I just get all anxious and my heart races, not a happy thing. I only read and write romance. I have to have a happy end, and on top of all that I am a complete smart mouth. I love snarky dialogue. To me, that makes it feel real. I love writing in a series format because I can carry my characters throughout the books. So if the reader loves romance, including the heat, sassy characters, humor, leading women that are not docile and instant attraction, that’s me. My men, while they might not always be perfect, they’re close and they try hard. They don’t give up, and they fight for the woman who stole their heart. I like to write stories that could actually happen in everyday life, sweet easy reads that let the reader escape reality for a little bit and leave them feeling warm and fuzzy after they’ve read the last page. What’s the strangest bit of research you’ve had to do and what sort of response did you receive? Luckily I don’t do anything that needs an extensive amount of research. Mainly city names and location details, that sort of thing. I do like to use fictitious cities for the most part so I have to make sure once I’ve picked a state that it doesn’t exist. I have to say there are some strange city names out there! Do you feel you have tamper your natural voice or do you just write it as it comes? Yes and no. I speak with a normal amount of slang and a bit of a southern accent on some words. Those things are hard to convert to a story without sounding goofy. However, the attitude and sass is all me. I won’t change that. It makes my stories mine. I love humor and I’m a self-admitted smart mouth. Used in the right context, it can take a scene to a whole new level. I’m a panster through and through, I just type as it comes to me. My characters come to life for me, I’m just typing their stories. Do your write for the American or UK market? I will probably only write scenes based on American locations, just because I don’t want it to feel fake or made up. However, motocross is huge in Europe. The bike our son rides is actually an Austrian make. I hope to gain loyal readers in both parts of the world. When can we expect to see book 2 released? Racing to Love – Jesse’s Soul will be released January 3, 2013 with Eli’s Honor to follow shortly after. It’s been great chatting to you, Amy. Good luck with writing two books at once! It’s been great to be here, thank you for introducing me to your followers! Want to find out more about Racing To Love and Amy Gregory? Here’s the blurb and an excerpt, followed by the links for Amy. I sat down this morning to write a list of ideas for my upcoming blog and was a few lines in when inspiration struck – I didn’t NEED this list, because I could write a blog ABOUT lists and how fabulous and essential they are. Brilliant! And I can even relate it to writing because so many of my lists are about writing! I don’t think it’s just me – everyone loves a good list, don’t they? A love ingrained from a very early age, I realized, as my five year old made me sit down with her the other day to help with the spelling on her Christmas list – she’d seen something on an advert on TV and just had to write it down immediately (it was a Barbie Puppy Play Park in case Santa is reading this, and she’s been a very good girl this year so definitely must be on the good list). I think maybe I have a problem. But I definitely work better if I have lists. Take food shopping for example – send me shopping without a list, I’ll spend twice as much money and come back with nothing edible. It’s the same for writing. I’m not a huge planner – I don’t know exactly what’s going to happen in a book when I start writing. I know my characters, how the book starts and how it ends. In between I write a lot of lists, lists that change regularly as I go along. Some are abandoned, some are expanded, some are ruthlessly cut. I start with a vague, unnumbered list of what might happen, then a less vague list of chapter numbers and what might happen. The first lists might only have a dozen chapter ideas – the rest of it tends to spring from the characters’ actions. But I always go back and update my lists because if I didn’t, my poor characters would just wander around, getting lost and being generally useless. Do you know, reading this back through, I sound like I should be quite organised, don’t I? Almost… efficient. Hmmm… not sure where the lists are going wrong for me. Maybe it’s the lack of things actually ticked off those lists that’s the problem? Still, never mind – can’t stop. Lists to write, stories to finish. Why is it you can read through the ts a hundred times and spot the mistake only after you’ve hit the Send button? Why is it me only who is bothered by a full bin? Why are grey hairs tougher than brown hairs? Why don’t I like gardening even though I really, really want to? Why are someone else’s leftover chips at work so much nicer than the lovely box of salad you made earlier for your lunch? Why has my dieting willpower disappeared? Why can’t I learn to say No without feeling so guilty about it? Why, when out present-buying for that special someone, can I never purchase the first perfectly suitable item I see, thus saving myself a fruitless trudge round every shop in town in search of something I suspect won’t match up to it? Why isn’t my chunky kitkat bigger? Why do I only bump into people I know when I’ve just sneaked out to Tesco in my old clothes, no make-up and hair that looks like I’ve been dragged through a hedge backwards? Why does the phone ring, someone knocks at the door, the dog starts barking and a chorus of ‘Muuuummmmm!’ begin as soon as I sit down? Why do I download so many books to my Kindle when I have only one lifetime to read them all in? Why do I wake up early on the days when I don’t have to get up? Finally, I wasn’t going to put this on the blog but Catherine more or less dared me … Why after eating three mini Danish pastries, one after the other, do I feel really sick? Why doesn’t chocolate have the same calorie content as a grape? Why doesn’t my singing voice sound like the one inside my head – I’m amazing, honest! Why do all my good writing ideas come to me when I’m driving and I cannot write them down? Why can’t I go a whole year without something dramatic or life-changing happening to me? Why can’t I sleep when I want to sleep or wake when I want to wake up? Why do the clothes I buy never look like they did on the models? Why do I hate olives so much? Why do shops always have a 30% off sale the day after I buy something? Why won’t my house clean itself? Why is there always more bad news than good news? Why am I most inspired to write when I’m at work or a children’s party and it’s impossible to do so? There are our why questions about the universe and the other things that plague our thoughts. What are yours? Find Out Friday with Juliet Greenwood. A Romaniac Interview with Juliet Greenwood. Good Friday morning to you, Juliet, and welcome to our blog. It was great to meet you at this year’s Romantic Novelists’ Association Conference where your love of nature was even more apparent in person. What did you think of the teaching garden at the Penrith site? Thank you, lovely Romaniacs. It was great to meet you too. Sorry I couldn’t make it to your famous kitchen parties – I was with you in spirit! I adored the teaching garden at Penrith. I love my garden at home, and I’ve recently installed a polytunnel, so to find the unexpected gem of a horticultural garden at Penrith was wonderful. I enjoyed every minute of the conference, but there was so much to take in it was great to be able to disappear for a few minutes into the peace and quiet of the gardens. I loved the little meadows of wildflowers amongst the ponds and the cottage garden feel of the beds and those polytunnels full of produce and surrounded by herbs were just to die for. It was a perfect place to sit and read and absorb everything – and take notes for my own garden! How are you taking advantage of the late burst of summer? In what ways do the seasons affect you? Which inspires you the most and why? Now that I live halfway up a mountain, I’m so much more aware of the seasons than when I was in London. Having a collie, who needs lots of exercise whatever the weather, helps. I’m so glad I live in a place where the seasons give a rhythm and a pattern to the year. Winter is time for log fires and beavering away at the next book. It doesn’t take much for us to be cut off up here. A bit of snow and the cars stay put. Whichever way you go it’s steeply downhill – and we’ve all seen too many cars that have gracefully slid into stone walls to try. My day job’s office is based by the sea, when it never snows, but like most employers round here they take a look at the hills and know I’ll be working from home for a few days! Spring is always a miracle. I feel full of optimism and energy and buzzing with new ideas. And summer – when we have one – is a great time to be out enjoying the countryside and the sea and relaxing with friends. I love summer evenings. That’s when my garden is great for parties or for just sitting listening to the sounds of the neighbours (the ones that aren’t sheep) enjoying being outside. But my favourite season is autumn. I love its richness mixed with fragility, the crystal clear quality of the light, and the sense that every day is precious and must never be taken for granted, for tomorrow everything might be encased in ice. Exhilarating! You post amazing landscape pictures on your Facebook page. Have these images sparked ideas or are you simply sharing the sheer beauty of the natural world? Thank you, I’m glad you enjoy them! I’m really lucky to live in a beautiful part of North Wales, with the mountains on one side and the sea on the other, and a few ruined castles thrown in for good measure. I studied photography when I lived in London and the best advice my tutor gave me was to always keep a small camera in your bag because you never know. 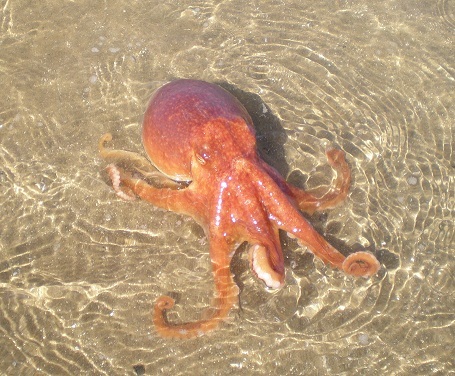 I love sharing the unexpected things I come across while on the daily dog walk, like a stunning sunset or finding an octopus on Llanfairfechan beach. I do find the images sparking ideas too. They creep into my books when I least expect them. It was an early morning walk on a beach in Cornwall that inspired one of the central scenes in ‘Eden’s Garden’. Even though I didn’t know it at the time. Please tell us about your latest book, Eden’s Garden. Eden’s Garden is a time-shift, based partly now and partly in Victorian times. It follows two women, living a hundred years apart, each trying to find their own true path in life and in love, despite the conventions and expectations that still surround us as women. At the story’s heart is a fading mansion with a neglected garden that holds the key to a mystery and an extraordinary secret. 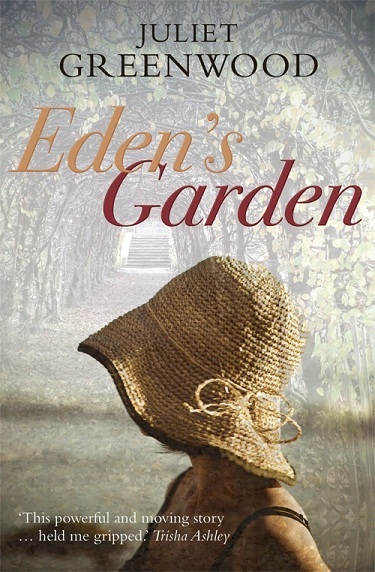 I loved writing the novel and I was so excited when Eden’s Garden was chosen by the Welsh Books Council as Welsh Book of the Month for May this year. How did it feel when Eden’s Garden hit the top 100 best sellers Amazon list, and then continued to climb? Gobsmacked! There’s no other word for it. I’m an unknown with a small publisher and it never crossed my mind that it would go anywhere near the bestsellers, except in my dreams. I was scrabbling around hysterically trying to work out how to do a screenshot when it got to 97, so it was very exciting when it crept up further and further and ended up in the top 50 of the Historical Fiction kindle charts. I’m still cheering inside! The book is based in Cornwall, Wales and London. What are your connections to these places? It was great to set a book in my three favourite locations. 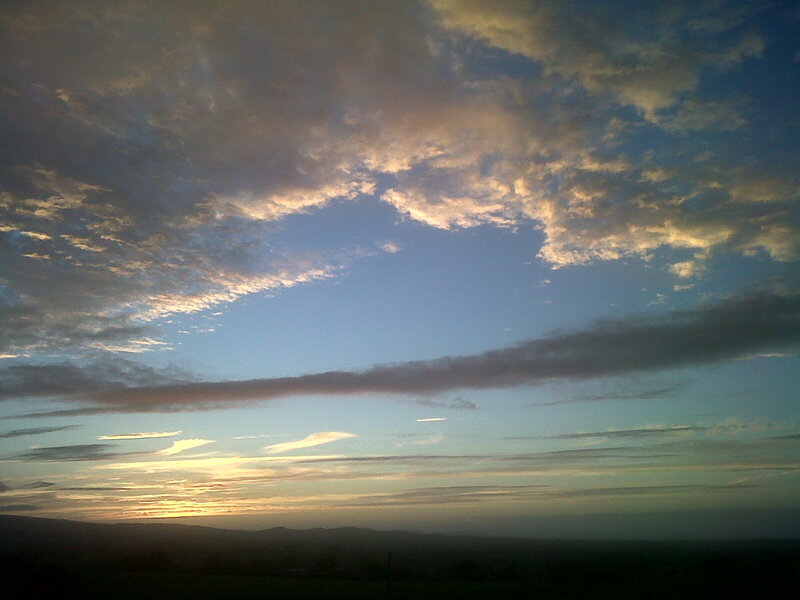 Wales is my home and my passion. Although I wasn’t born here, I’ve been visiting since I was six months old and I’ve lived here for the past twenty years. I love London. I’ve always had family there and I studied and worked there for nearly ten years. It still feels like home when I go back for visits. Plus Dickens is one of my favourite authors. I love his depictions of the hustle and bustle of London streets. It was great to spend time in Victorian London in my head. Cornwall and Devon are some of my favourite locations. I’ve been visiting since I was a teenager. When I was younger I walked the coastal path with friends, carrying tents on our backs. The last time I chose a more civilised mode of camping, with Emily, my ‘Romahome’ mini campervan. Emily has since succumbed to old age, so next time it’s just going to have to be a cottage on the Lizard. I can’t wait! 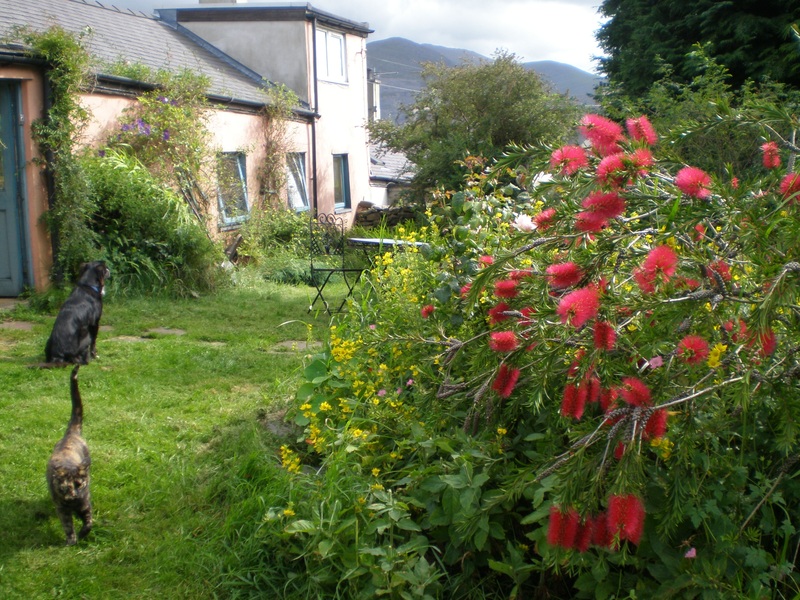 Is the garden in your novel influenced in any way by your cottage garden in Wales? The garden in Plas Eden is on a much grander scale of course, but my cottage garden was a wonderful place of healing for me when I was ill for a year with a severe virus and ended up with M.E. I think it was that year when I hit rock bottom and had to rebuild my life, when I was sitting in my garden grown wild, that the first idea for ‘Eden’s Garden’ began to take shape. If you had to describe you book as a flower, which one would you choose and why? What have been the best and worst moments of your writing career? 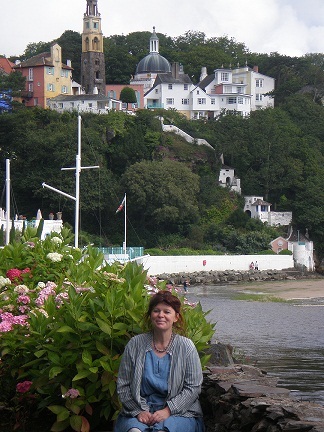 My best moments were working with my wonderful editor, Janet Thomas, at Honno. It was the most incredible learning experience, one that stretched me to the limit and made me so much more professional in my approach. I’ve never worked so hard in my life, but it was also exhilarating, feeling that I was being pushed to take my writing to another level. Utterly life-changing. And a total privilege, knowing that someone had seen potential in my writing and was giving me that rare feedback it’s so hard to come by. When I did something and I could see that it worked, then it was the greatest buzz of all! As for the worst. Mmm. There are so many to choose from. I think the very worst was in my early thirties when I decided it was time to grow up and forget the dream as it was never going to happen, and I needed to settle down to a proper job instead. It’s no coincidence that was the time I became really ill. Which, ironically, was what set me off on the journey to becoming a published writer. So you never know. Have you any future plans you would like to share? I’m busily working on my next book, which is based around three women during the First World War. It’s getting a bit nail biting at the moment, so I can’t wait to get back to it every day. My alter ego, Heather Pardoe, is also busy writing a serial for ‘The People’s Friend’, which is based in the Welsh Gold Rush – and yes, there really was one! Thank you so much for visiting our blog today, Juliet. Good luck with the continued sales of Eden’s Garden. Thank you for having me. I’ve had a wonderful time. I feel I’ve joined the Romaniacs for one great party! Sometimes you have to run away, sometimes you have to come home. 2011 – Carys agrees, with mixed feelings, to look after her mother after a fall. This decision unsettles everything – her job, her plans, her relationship with Joe. 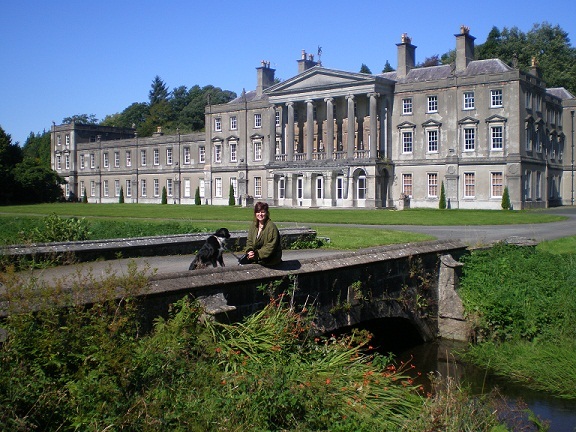 Once home she is drawn back into village life, into her family history hidden in the attic, and into the history of Plas Eden, the ramshackle great house that was so much part of her childhood. Where, at 18 she forced herself to say goodbye to David Meredith. How will she feel when they meet again? 1898 – Ann, destitute, stands on London Bridge. She remembers her last visit to London, a spoilt aristocratic bride, sure of the power of her youth and beauty. Now she is running from everything she trusted. Is the river her only option, or will the Meredith Charity Hospital hide her? Two women struggling with love, family duty, long buried secrets, and their own creative ambitions. But over a hundred years ago, Ann left a trail, through North Wales, Cornwall and London, that may help Carys find her true path. What is the secret of the statues in the garden? Juliet lives in a traditional Welsh cottage halfway between the romantic Isle of Anglesey and the beautiful mountains and ruined castles of Snowdonia. After studying English at Lancaster University and King’s College, London, Juliet worked in a variety of jobs, from running a craft stall at Covent Garden Market to teaching English. Juliet began writing seriously about ten years ago, after a severe viral illness left her with debilitating ME/Chronic Fatigue Syndrome for years. Juliet always says that M.E. was the worst, and the best, thing that ever happened to her. On one hand, it sent her from being able to walk up mountains with ease to struggling to do the simplest of everyday tasks for more than a few minutes at a time. But on the other, it forced her to re-evaluate her life and her priorities. And it made her a writer. She is now well and back to dog walking and working on her beloved garden. 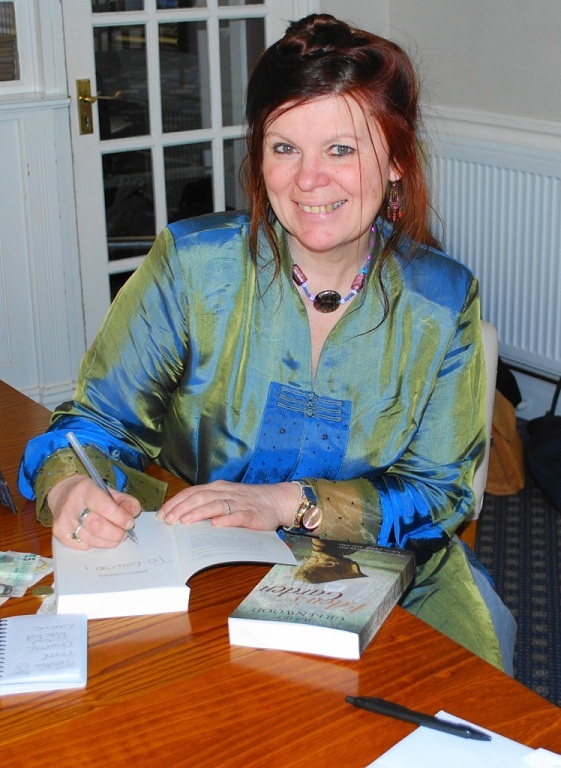 As well as novels under her own name, Juliet writes stories and serials for magazines as ‘Heather Pardoe’. When not writing, Juliet works on local oral history projects, helping older people tell their stories before they are lost forever. . I think a lot. Some might say I’m a serial over-thinker with my tendencies to analyse, deliberate, cogitate, and ruminate. My brain hardly ever shuts down. Even when I go to sleep, I’m prone to stirring through the night and once awake, my head whirs into action and off I go again, mulling over the day or the day to come, fretting about my personal life or on occasions, a character or scene from my WIP robs me of sleep. I realised that instead of thinking about writing all the time, rather than the actual writing, and allowing the other personal and domestic matters to interrupt my creative flow and frazzle my brain, I need to get a grip, free my mind and do what writer’s do – WRITE! 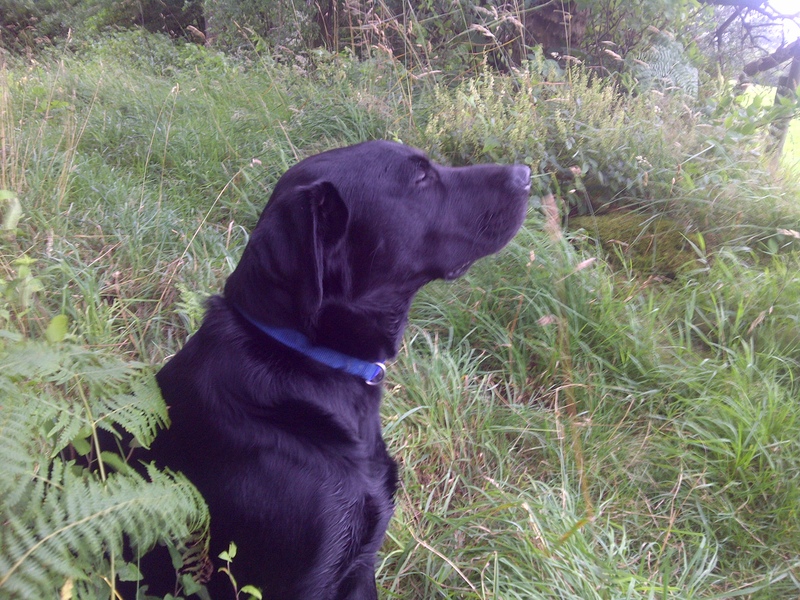 There is plenty of time for thinking when I’m in the bath, swimming, driving or out walking the dog. I need to compartmentalise my time. And I need to stop procrastinating! So I intend trying, if I can, to use the ‘dead’ time, like when I’m swimming my lengths, to benefit my writing ideas – maybe mull over characters or scenes. Then, seeing as some of my best work is done when I’m ‘at one’ with nature, I’m going to make the most of that too. …and the stars at night and seeing the combines make tracks in the field. Walking the puppy in the rain and clomping along. Studying the birds on the bird table. They all inspire me. The trouble is, despite having a view to die for and all of these things around me daily, there are too many distractions. Like for example, my eldest son blasting out music or playing the Xbox if he’s not working a shift, or the neighbours popping their heads over the hedge for a natter, or the housework. So guess what I’ve been doing for the last couple of weeks which seems to be working? I’ve taken to getting in the car and driving to a peaceful place for some solitude. It’s a National Trust valley with lunar views of the South Shropshire Hills and a babbling brook only a few minutes drive from where I live. My car loaded with all the essentials – a fold up chair, blanket, water, my laptop, fingerless gloves in case it’s cold – I set up and write for a few hours without no interruptions except an occasional sheep or hiker walking past. If it’s too windy or rainy, like it is as I write this blog, I sit in the car, push the seat back and perch my laptop on my lap. No internet, no mobile phone connections, no people, no noise. No thinking. Just writing. My own little outside office. Yes, it may sound a little extreme and my friends would think me eccentric if they knew, (but then they probably know I am already!) but so far, it seems to be working. Even if it is only short-term or until the weather gets too cold to sit in the car, I’m being productive now. So where do you do your writing ‘thinking’ time? And do you ever find you have to get away from it all in order to focus.